The church’s record of holding power – from Emperor Constantine in the 4th century onwards – has involved some terrible acts of coercion, exploitation, and abuse. Yet Jesus set an example of selfless service and started a “humility revolution” that fundamentally transformed the West and the way we think about leadership and power. For groups like women and indigenous peoples, what has it looked like when Christians have exercised power for their own benefit? What has it looked like when they’ve exercised it for the good of others? 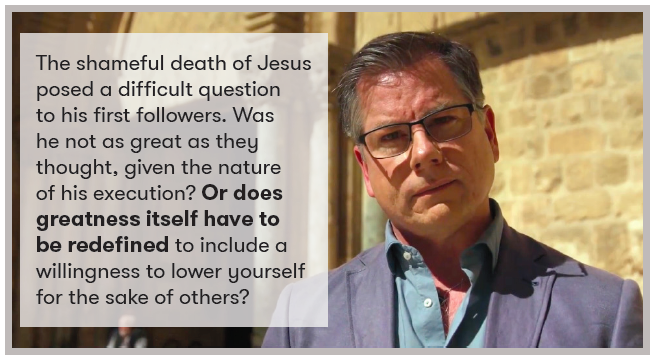 This segment looks at the “humility revolution” that Jesus started, and how within just 500 years it had radically transformed Roman culture. JOHN DICKSON: What did Jesus teach about how his followers should relate to power? This teaching of Jesus was unique, and it didn’t catch on easily. For centuries throughout the Mediterranean, power and honour were seen as positive goods. 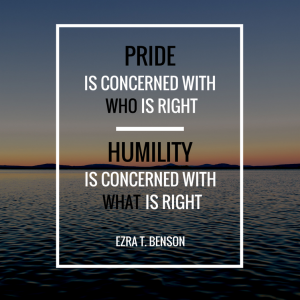 An ethic of humility was unknown. Even in Greece, perhaps the most ethically self-aware of all ancient cultures, humility played no part in the good life. Delphi was seen as the spiritual centre of the world, and the so-called Maxims of Delphi were the epitome of Greek moral wisdom. “Know yourself.” Actually, these words were inscribed on the temple behind me. “Stop yourself killing.” That’s good advice! And on it goes for 147 lines. What’s especially interesting is what’s missing from the Maxims. 147 pieces of moral advice, and not even a hint of the ethic of humility we’re so used to today. LYNN COHICK: In today’s world, we value someone who has humility. We don’t like arrogance. In the ancient world, that was not the case. Our word humiliation is how they would have heard, back then, the word humility. JOHN DICKSON: Perhaps the most rigorous moral thinker from ancient Greece was the philosopher Aristotle, who taught here in Athens. He had a lot to say about moral courage and the quest for human justice, but he never advocated humility. For him, that was the ethics of dogs. ACTOR (ARISTOTLE): People are calm toward those who humble themselves before them; for, by doing so, they seem to admit to being inferiors. Anger ceases toward those who humble themselves, as is evident in the case of dogs, who do not bite those sitting down. JOHN DICKSON: The word humility in both the ancient Greek and Latin meant low, as in low to the ground. It had an entirely negative connotation. 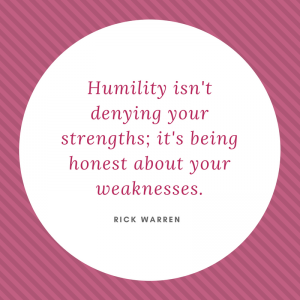 In a world that loved reputation and honour above pretty much anything else, humility just didn’t make sense. EDWIN JUDGE: Humility in Greek and Roman ethics would be a degrading thing. To put yourself down to a level that you were not born to or that your standing in life did not require you to be in was disgraceful and debasing. There was no virtue in it at all. JOHN DICKSON: So, what happened? How did the West come to despise honour-seeking and prize humility? The evidence points firmly in one direction. Jesus of Nazareth. 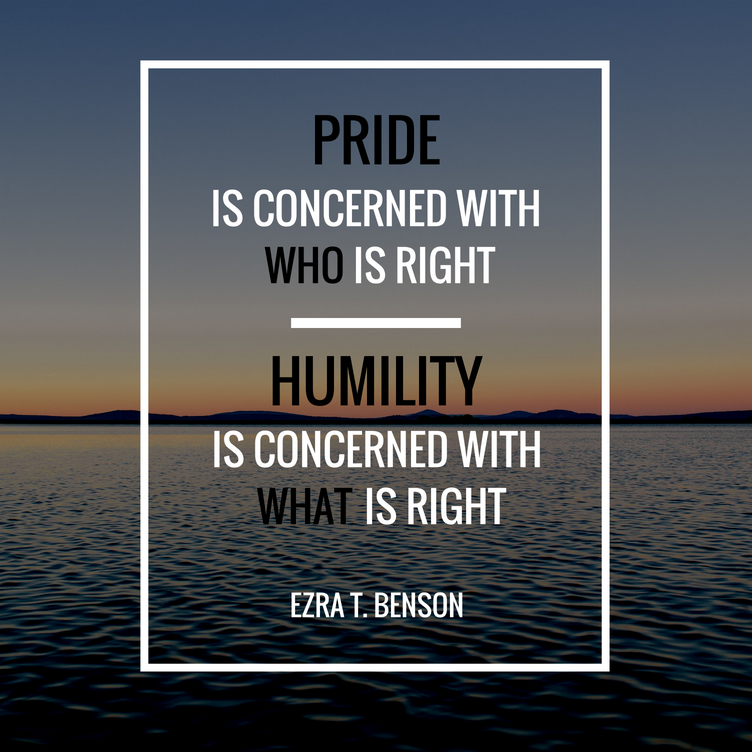 It’s true that Jesus taught an ethic of humility. He once said, “Whoever wants to be great must be a servant”. But it probably wasn’t his teaching that changed things decisively. It was his death. It is difficult today to grasp just how much of a catastrophe Jesus’ crucifixion was to those who loved him. LYNN COHICK: To hear that a messiah, a great king, an important person was crucified would be nonsense to the Greek or the Roman ear. It couldn’t make sense of it. In fact, Roman citizens were not crucified for that very reason. It was just so shameful. So, for the gospel message to proclaim a crucified Lord, it upended the value system that the Romans held. JOHN DICKSON: The shameful death of Jesus posed a difficult question for his first followers. Was he not as great as they thought, given the nature of his execution? Or does greatness itself have to be redefined to include a willingness to lower yourself for the sake of others? For Christians, the answer was obvious. Greatness involves humility. It was a turning point in the ethics of the Western world. And we can date it precisely. From a prison in Rome 30 years after Jesus, the apostle Paul, author of much of the New Testament, urges Christians to follow Jesus’ example of humble self-sacrifice. ACTOR (APOSTLE PAUL): In humility value others above yourselves, not looking to your own interests but each of you to the interests of the others. JOHN DICKSON: Powerful testimony to the way humility shaped early Christian life is found in the places of their dead. In ancient societies, the divisions between the classes really mattered – it was a sign of good order. The great deserved public honour; and the lowly, not so much. And this order was to be preserved not just in life, but in death. LYNN COHICK: The Graeco-Roman world was highly stratified. That much is clear from all the evidence we have. The gospel message comes in and says God is giving this amazing gift to anyone. And you don’t have to be worthy to receive it. God gives it to a slave, and gives it to a free-born wealthy person. That really knocked the foundations out from Graeco-Roman society. All are equal before God, and God shows no favouritism. JOHN DICKSON: There were clearly wealthy and powerful people among the first Christians – you can tell from the size and style of their burial chambers. The astonishing thing is that they are buried right alongside the poor and lowly, with no barriers between them. They saw themselves as family in life, and here the high and the low lie side by side in death. DAVID BENTLEY HART: In a world that believes that at the end of the day the index of human value and of moral truth are degrees of privilege, power, pedigree, humility may be the singular greatest offence to the moral sensibility of the ancient world and to humans in general and the greatest revolution in our understanding of the moral good as a social and personal practice. JOHN DICKSON: By the sixth century, Christian ethics had gained so much traction that even the Roman Emperor thought it necessary to appear humble. One day in the year 531, Emperor Justinian received a visit from a famous Christian monk named Sabas, who’d come from Palestine with a petition to rebuild broken churches and a hospital. When Sabas entered the grand imperial court, apparently the emperor ran to him, kissed him, and, we are told, showed him “great reverence”. This is an astonishing role reversal. The emperor granted Sabas’ petition, and even offered him more money. Somewhat boldly, the monk declined. Was this just a humble show on the part of Emperor Justinian, a way of appearing virtuous to an increasingly Christian population? Quite possibly. But it’s still a huge departure from the long Roman tradition of emperors parading their status and power. 500 years after Christ, everyone – even the emperor – felt the need to be humble. The humility revolution was complete. Jesus, who was worshipped as God, had assumed the place of greatest shame – a Roman cross. The low point became the high point – for his followers, and the culture. 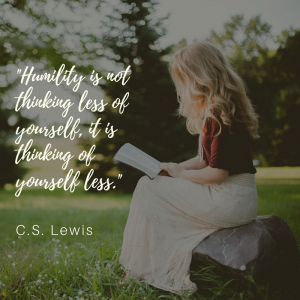 What is it about a humble person that we find attractive? What do you think it means for a person to be “great”? Brainstorm qualities and characteristics associated with the idea of “greatness”. Read this article about where celebrities were seated at the Royal Wedding of Prince Harry and Meghan Markle. What did the seating arrangements reveal about how important particular guests were to the couple? How do you think the celebrities seated in the front of the chapel would have felt? What about those at the back? Write your own tweet reacting to the seating of celebrities. Are you surprised that none of these moral teachings included the idea of humility? Why or why not? Explain why ancient Greek culture had such a negative view of humility. How do early Christian burial chambers reflect the value of humility? Imagine you were witnessing the encounter between Emperor Justinian and Sabas. 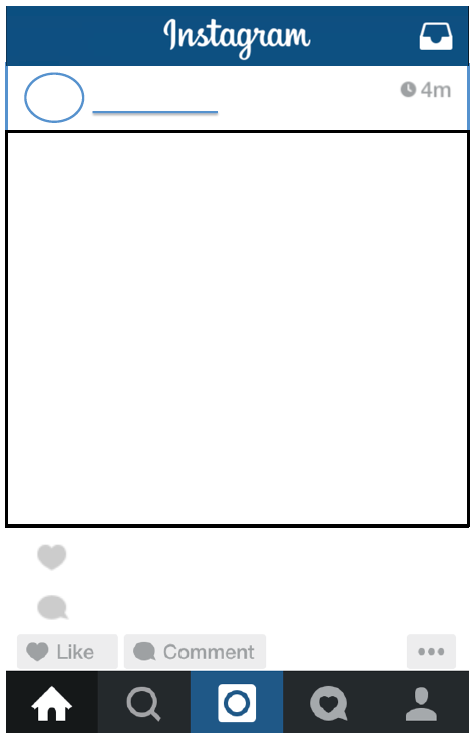 Create an Instagram post which shows the event and your reactions (you can draw or find an image online). Consider the crucifixion of Jesus. Explain the significance of crucifixion as a method of execution during the time of Jesus. Outline the thoughts that Jesus’ followers would have had to process when their leader was crucified. In your own words, describe what James and John are asking Jesus. Explain Jesus’ use of the word “ransom” in v.45. Describe a friendship conflict or disagreement you currently have or have had in the past. What attitude does this passage say we should have? How would you apply this to your situation? Write three additions to the Delphic Maxims that reflect the value of humility. Read the following quote from the documentary. Do you think a definition of “greatness” should include humility? Discuss. Think about leadership roles you might hold or aspire to at school. What are your motivations for being given these roles? In what ways do you think Christian leaders should behave differently to people in leadership who do not seek to follow Jesus? One thing that stands out to you. One question you have or aspect that you want to investigate further. One idea you want to take away from the article and apply to your own life or your school community.